On that webpage, you’ll notice they talked about “Docker Trusted Registry (DTR)”, that is not available on Docker Community Edition. We have full command line. Obviously, you’ll need have Docker installed on that machine. 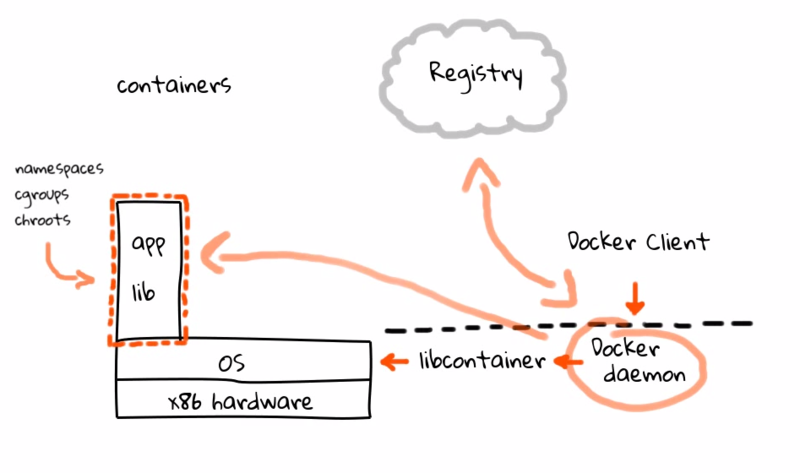 You can follow our first guide on Docker in case you are not used with Docker. Next, we need a web server software installed on that machine. We can run that web server in two ways. First way is installing on main server, which is less commonly done. You can follow our old guides to install Apache2 on Ubuntu 16.04. If you want Nginx, then follow guide to install Nginx on Ubuntu 16.04 (install only Nginx). Second way is running a Nginx container inside Docker and linking it. Change 127.0.0.1 with your machine’s IP address. Save and close the file. Save and close the file. create a new Nginx configuration file. Two containers should be running. Those are intended to active to have full SSL support. You know how to obtain Let’s Encrypt SSL certificate on Ubuntu 16.04 for domain. You’ll get expected output. Rest are written on Github’s that official repository’s documentation. This Article Has Been Shared 7956 Times! Cite this article as: Abhishek Ghosh, "How Setup Private Docker Registry on Ubuntu 16.04 LTS Cloud Server," in The Customize Windows, January 6, 2018, April 21, 2019, https://thecustomizewindows.com/2018/01/setup-private-docker-registry-ubuntu-16-04-lts-cloud-server/.